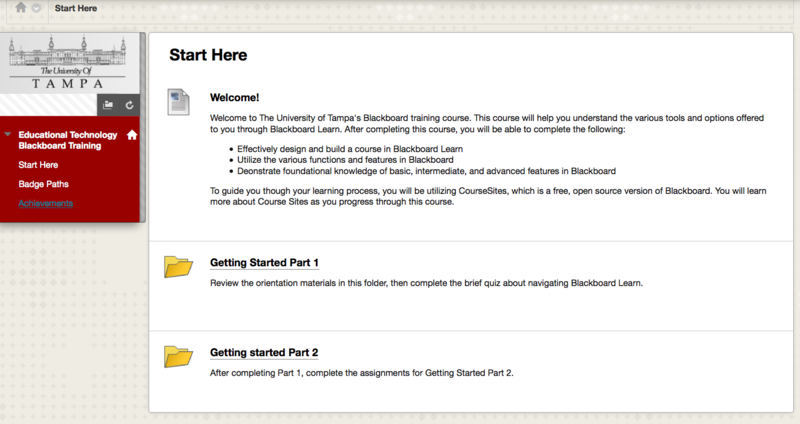 Blackboard Training Course—Semi-Automated & Badge Enabled – Fredrick W. Baker III, Ph.D.
Purpose: The purpose of this project was to create a training course for learning to use the Blackboard LMS. 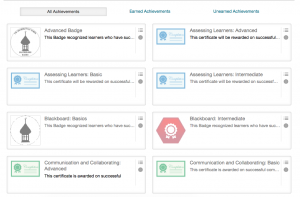 I also used this course as the proof of concept course for the Open Badges design project. Results: I reduced the total time for performing an evaluation from around 60 minutes to around 15 minutes (a 75% reduction) by revising the rubric based on formative evaluation feedback. Description: I reduced the total time for performing an evaluation from around 60 minutes to around 15 minutes (a 75% reduction) by revising the rubric based on formative evaluation feedback. 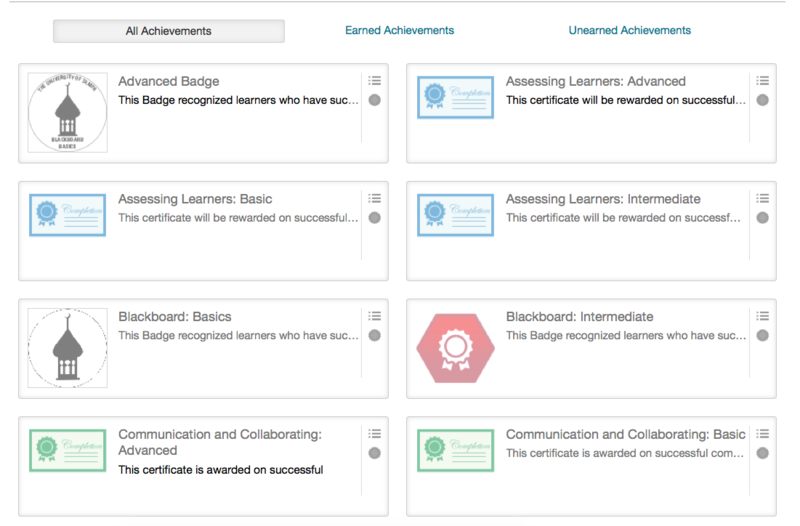 In Phase 1 of the Open Badges Ecosystem, I led the design and development of an Open Badge enabled Blackboard Training course. Below are materials related to its development. Here is a Demo version of an Open badge enabled, self-paced, competency based training course. 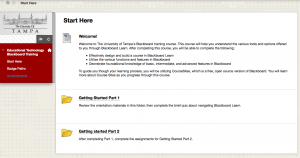 It was created on Blackboard, and is hosted on Blackboard’s CourseSites platform. If you don’t have a Coursesites account, or would like to remain anonymous, please use the login credentials below. 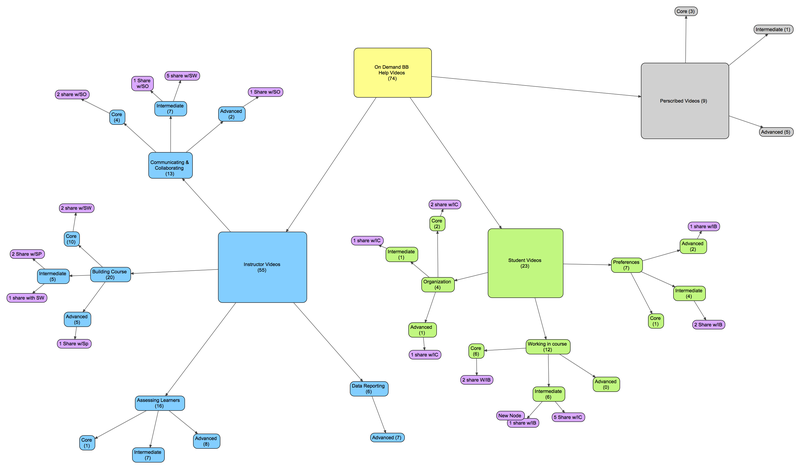 Here are some concept maps we were using to get our heads around the content for the Blackboard training course project. We did a content analysis of the Blackboard help videos on Youtube, and then classified them into difficulty level (beginner, intermediate, and advanced). We then grouped the videos into subcategories of corresponding to their function in the course (course building, communicating and collaborating, assessing, and data. 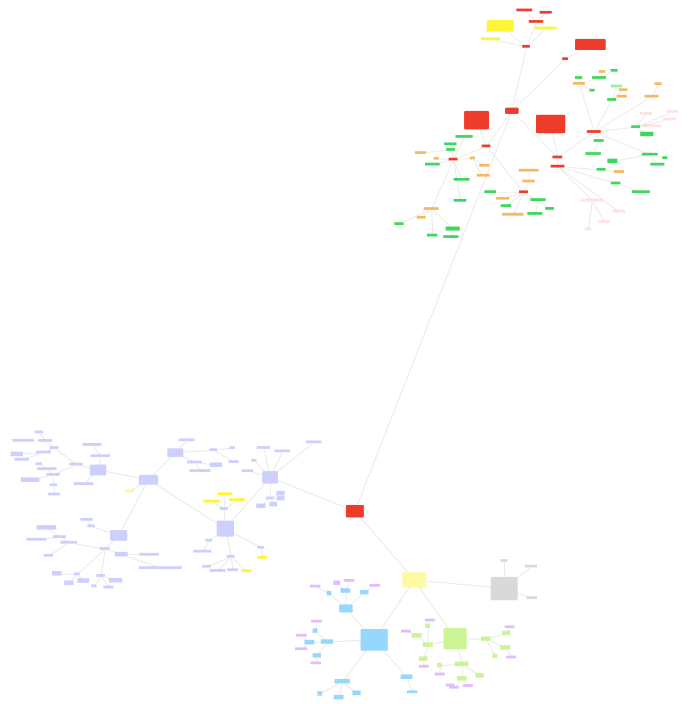 We designed the course based on the final version of these concept maps, and then created assignments and assessments for each of the items in the concept map.